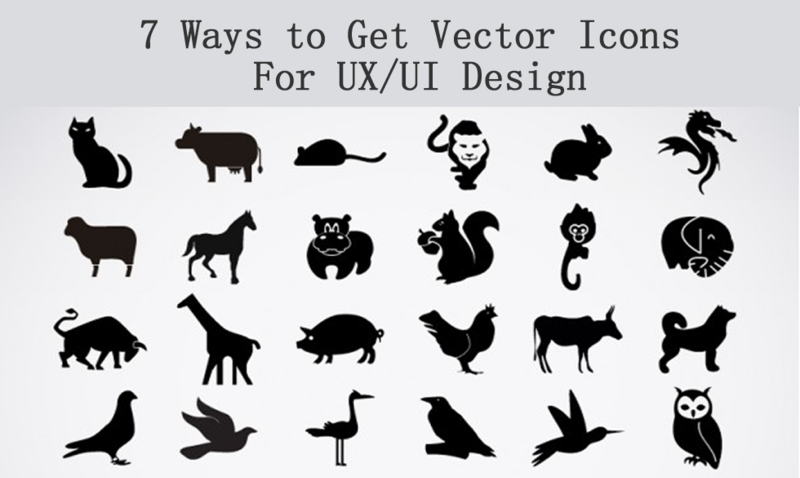 Vector icon is one of the most common formats we used in design. Vector icons could be enlarged or shrunk without limitation, because they are the results of math formulas, and drew according to geometry features. So, where to find those amazing icons? Well, don’t worry. Allow me to introduce 7 ways to find these super useful icons. Easyicon is an icon-sharing platform. The total volume is approaching 500,000, and it's still growing. Most of these icons are vector icons, they’re not just black and gray, but also in other pretty colors. It is really helpful if you need to make a hi-fi prototype. Meanwhile, Easyicon does not have limitation for unregistered users. Freepik offers users high-quality graphic designs: exclusive illustrations and graphic resources carefully selected by the design team in order to provide we users with great content that can be used in both personal and commercial projects. Each month there are over 20 million visits from worldwide. Freepik believes that what is important for our users and we offer on a daily basis are the graphic resources. 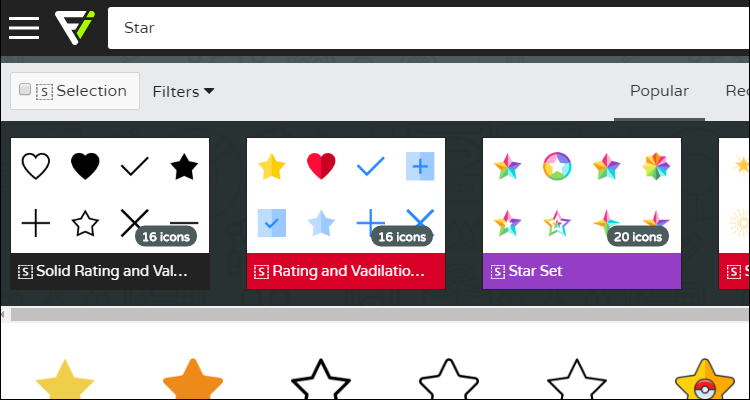 Flaticon offers users high-quality graphic designs with editable vectors carefully selected by their design team in order to provide our users with great content to be used in both personal and commercial projects. Is this introduction familiar to you? Because, in 2010 a group of entrepreneurs joined forces to create Freepik, the largest search engine in the world of free vectors. 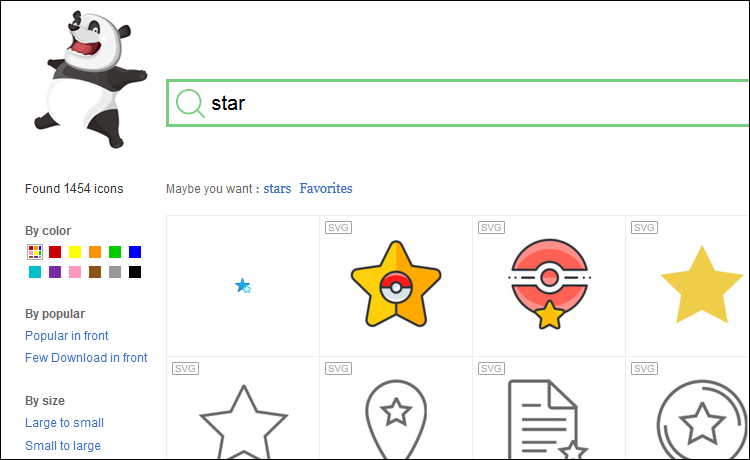 After the successful startup acquired by other company, and given the high level of search done for icons, they decided to launch Flaticon three years later, a platform which specializes and focuses majorly on vectorial and editable icons. 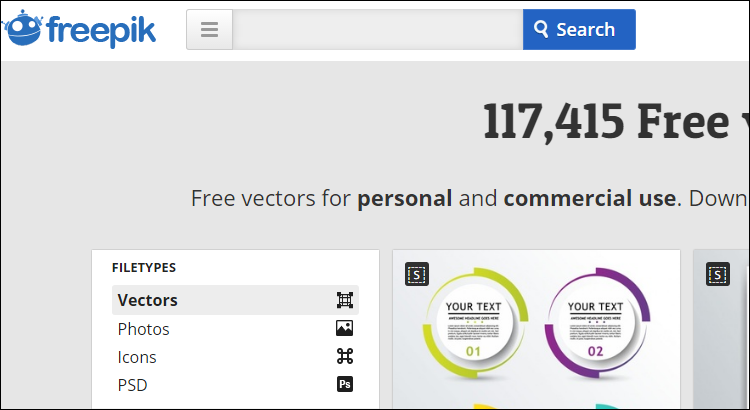 Vecteezy is one of the largest vector graphics communities in the world. Here you can explore and discuss the creations of other artists from around the world, or just find that perfect little freebie for your next project. Vecteezy makes it easy to explore thousands of graphics created by vector artists from all over the globe. Most of the files are free to download and, depending on the license, free to use in your projects. Designers really strive to offer you fresh designs that can be used to create your commercial or personal graphic design projects. They believe that Vecteezy will save you the cheesy mottos and taglines, and let the content do the talking. 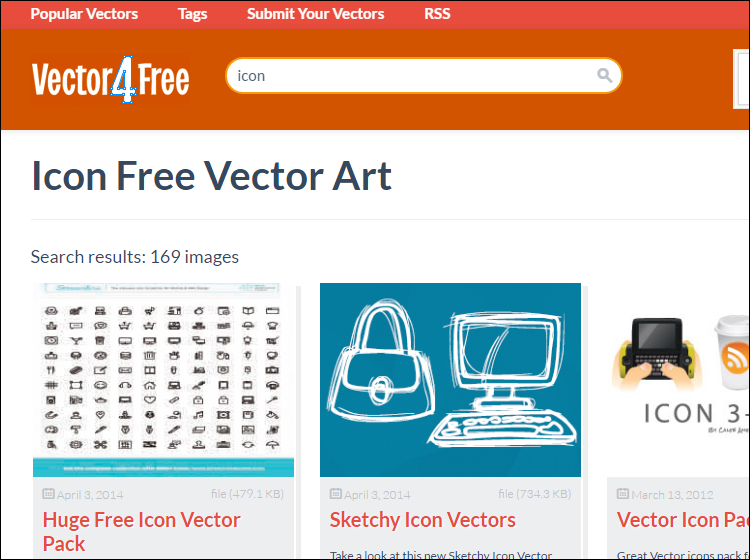 Vector 4 free is a website all about vector images. Here, you can download AI, EPS, PDF, SVG and Corel Draw CDR files for free. 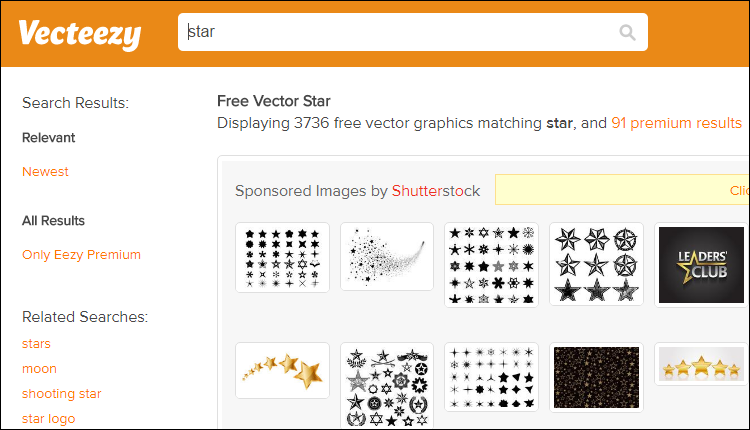 To facilitate your work, every free vector is classified by tags. Honestly, I really like this website, vector4free.com is indeed a handy and friendly platform. 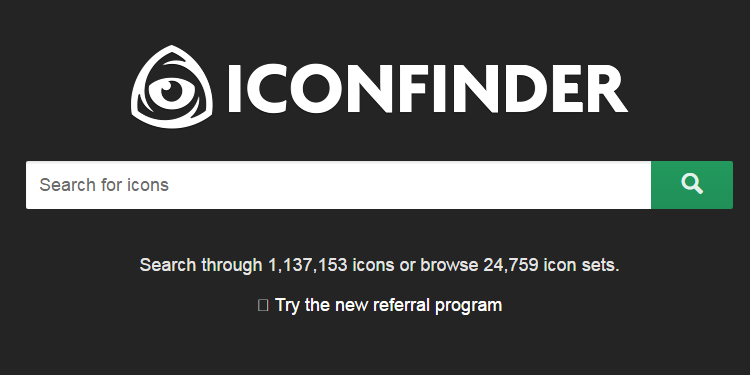 Iconfinder is a website from Copenhagen, Denmark. I saw lots of pictures of this city. It looks lovely. Designers here are building the world's most popular icon site. A small team fueled by large amounts of caffeinated beverages. It’s ok to be a free user, but Iconfinder provides more services if you choose to use a premium account, such as access to all 1,137,153 icons, licenses for commercial projects and icons in AI and CSH formats. You may feel surprised, why is Mockplus here? Let me tell you the reason. 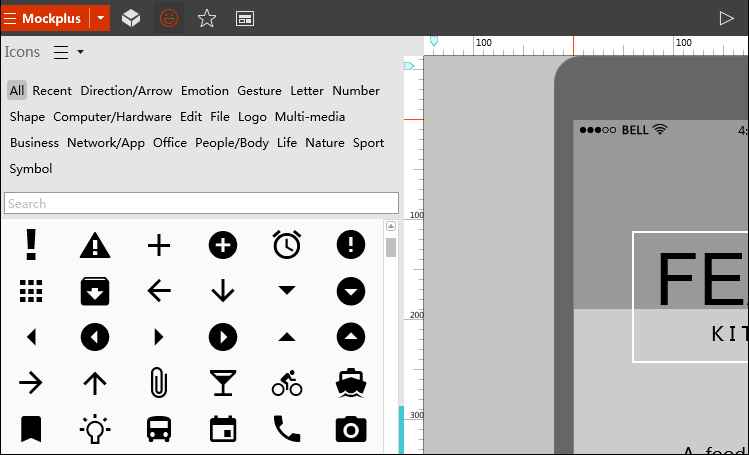 If you ever tried Mockplus, you will discover that there are 2600 vector icons and 400 flat icons available. I think this is pretty cool. Because, most of the time, you don’t even need to go to the vector icon website and search while you’re making a prototype. All you need to do, is to click the icon button and choose the kind you need.